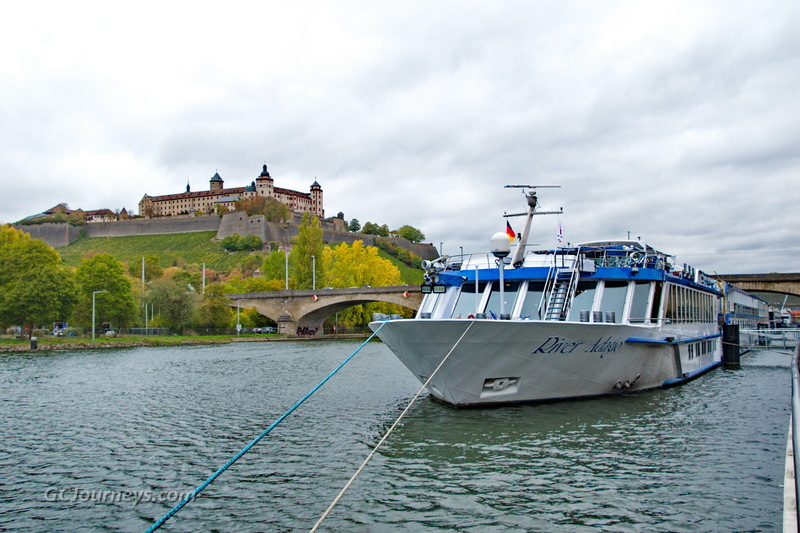 In September 2018 we traveled on Grand Circle Travel’s Great Rivers of Europe river cruise. 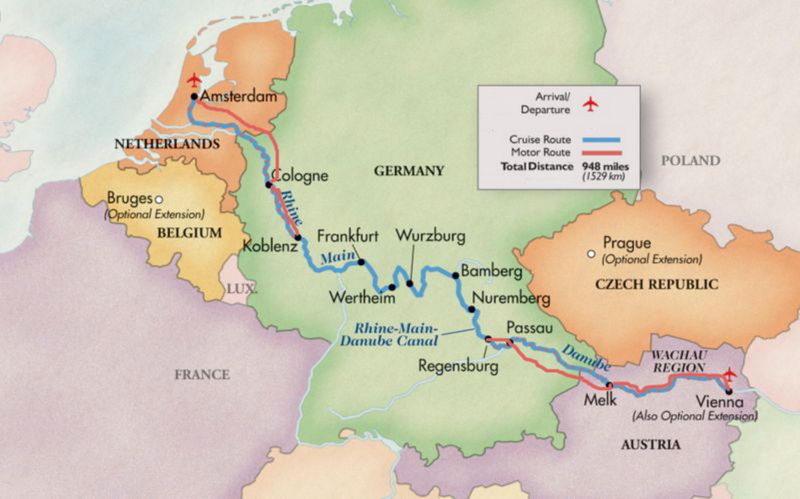 It was scheduled as a 14-day cruise from Amsterdam to Vienna via the Rhine and Main rivers, the Main-to-Danube canal, and the Danube River. However, due to low water levels following a very dry summer, the ship couldn’t get to Amsterdam or Vienna so it became a ten-day cruise with two days at each end by bus and hotel. Even with the adjusted itinerary we thoroughly enjoyed the entire trip. 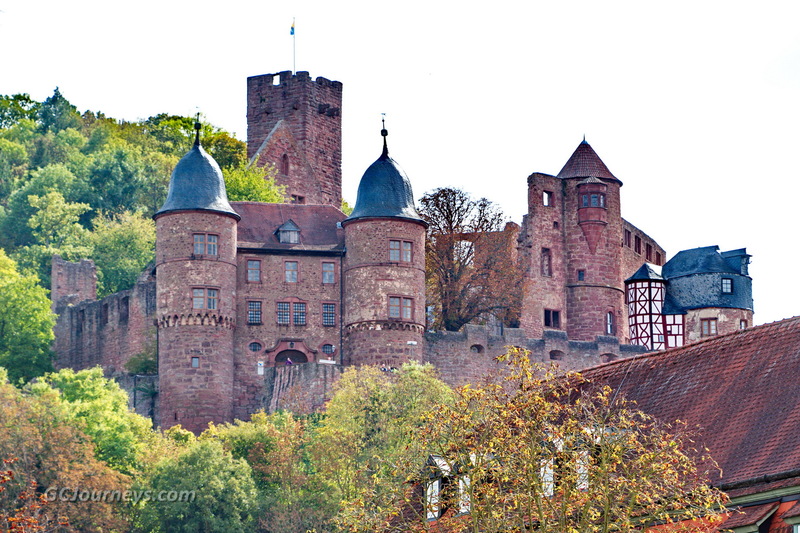 It offered spectacular scenery, castles and cathedrals; a comfortable ship with 145 friendly fellow travelers and wonderful food; very knowledgeable and helpful program tour leaders and local guides; and the rich history and culture of the region. 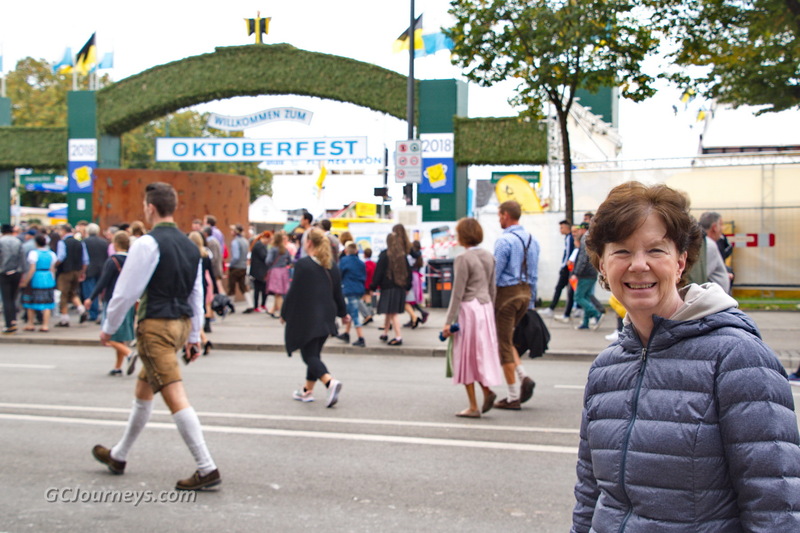 One of the many highlights was a day at the real Oktoberfest in Munich.